Our beautiful Keepsake Wax Lantern Bridesmaid Candles - Large are handmade in the USA with real garden flowers and adorned with Clear Swarovski Crystals! 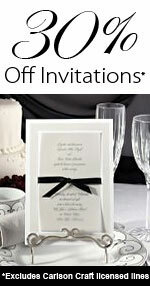 They make wonderful gifts for Bridesmaids, Birthdays, Anniversaries or for any special occasion! They are also beautiful to use as memorial candles at weddings to honor the memory of loved ones who have passed away. Keepsake Wax Lanterns also make lovely gifts for a Bride and Groom and can be personalized with their names and wedding date.